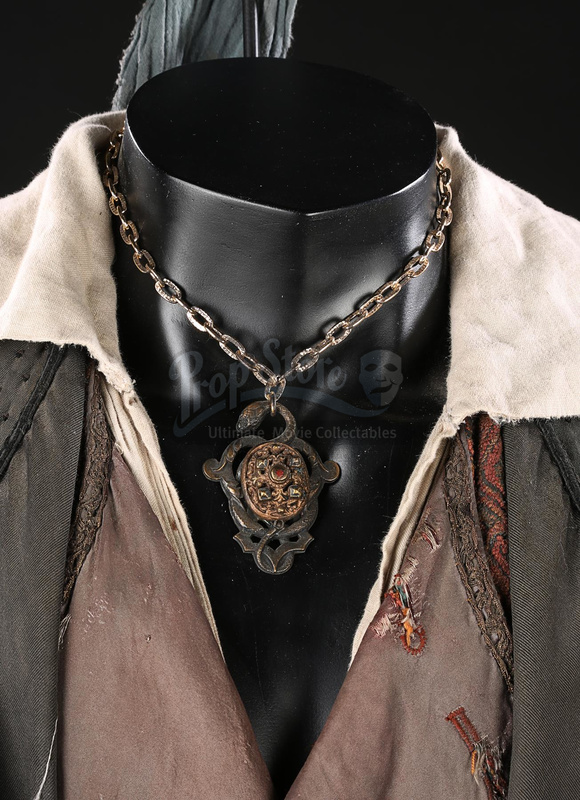 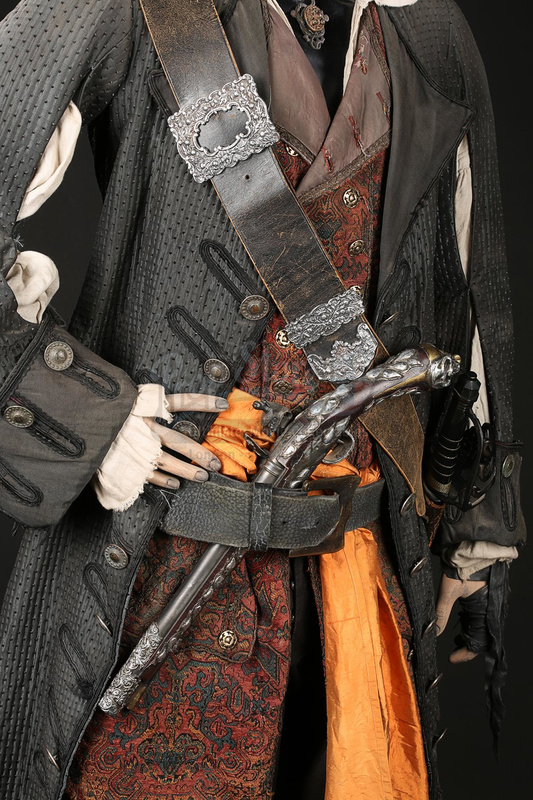 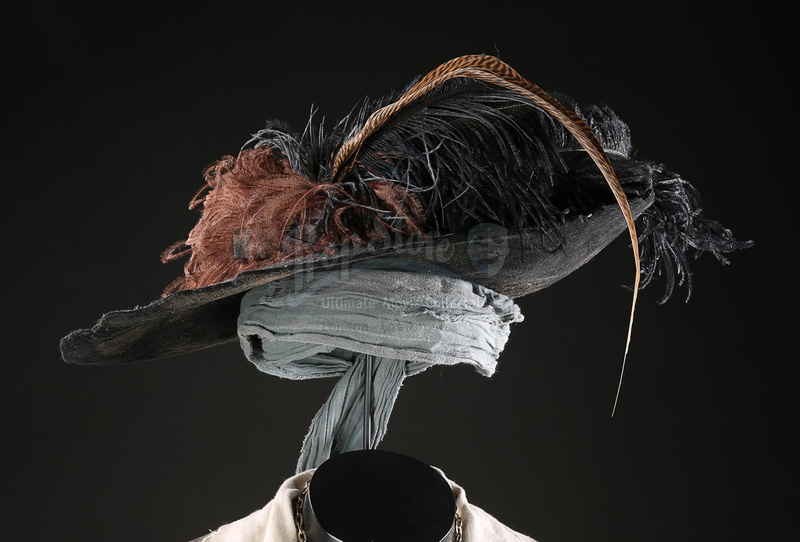 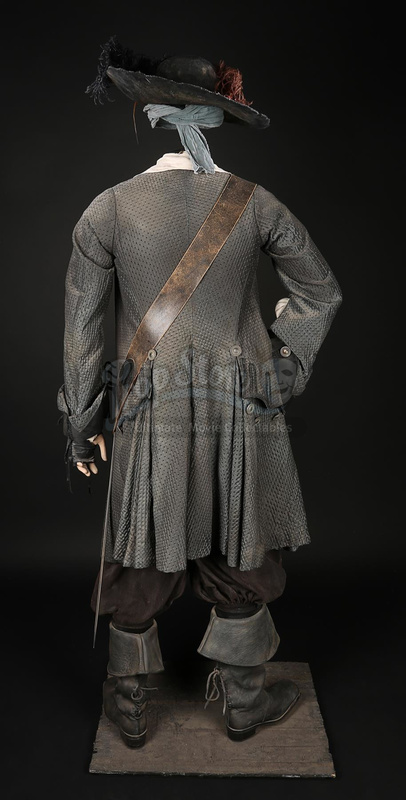 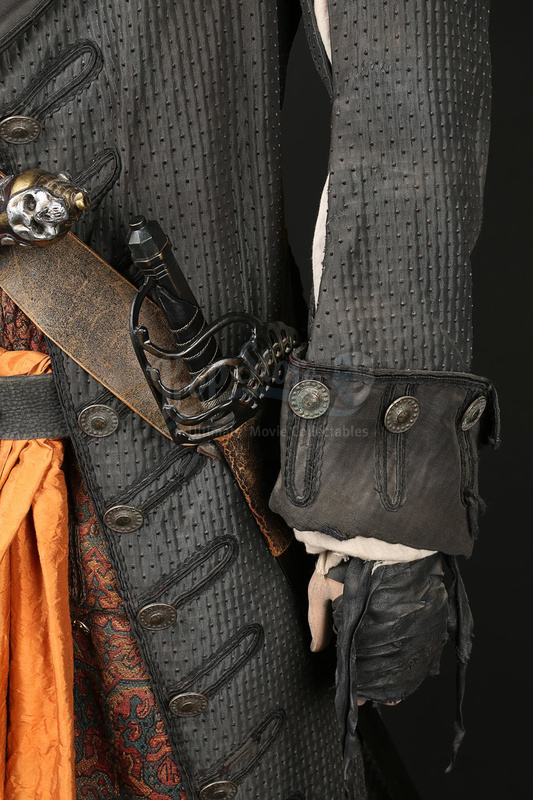 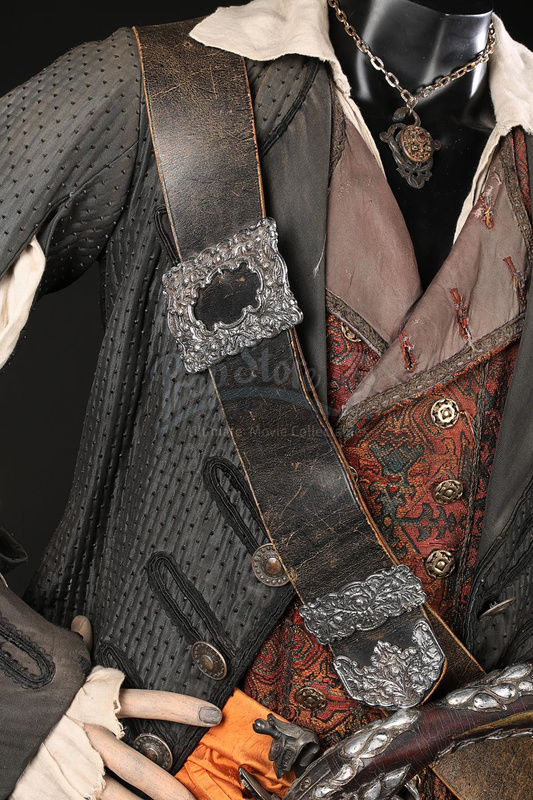 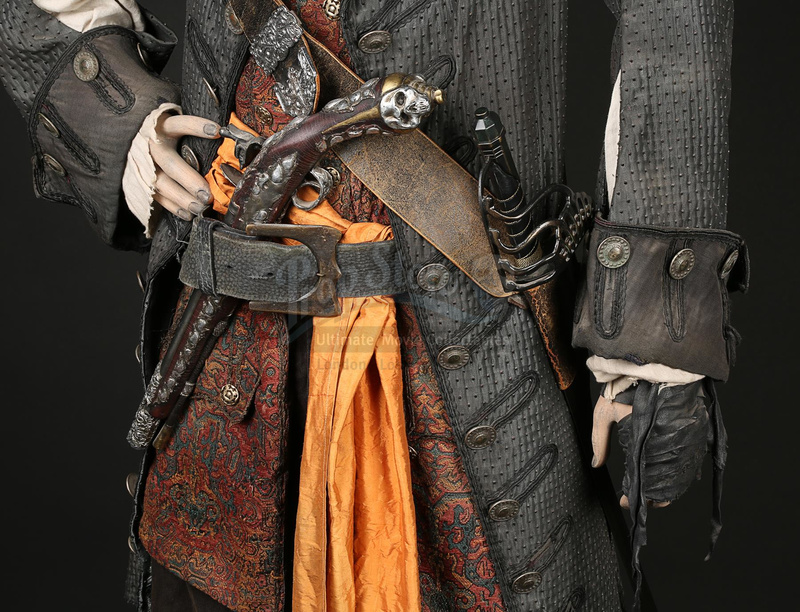 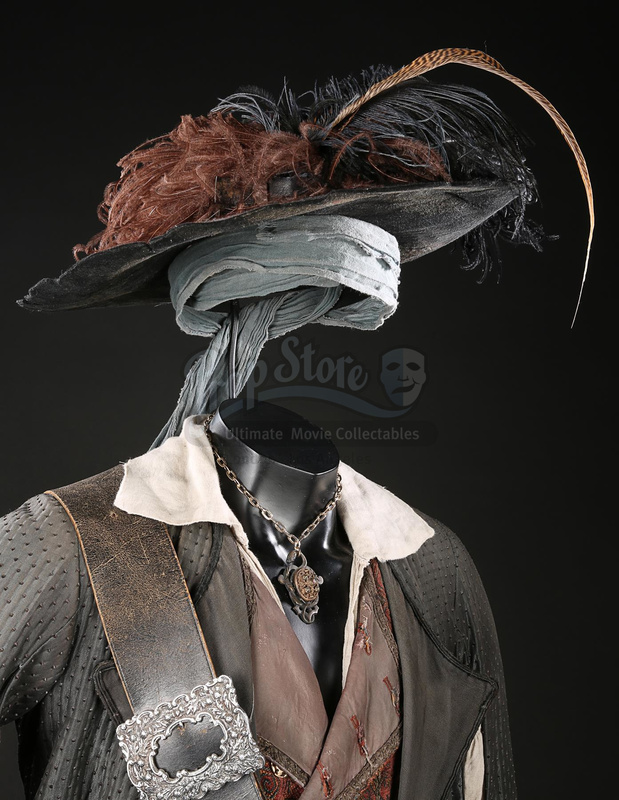 Captain Hector Barbossa's (Geoffrey Rush) costume from Gore Verbinski's action-adventure film Pirates of the Caribbean: The Curse of the Black Pearl. 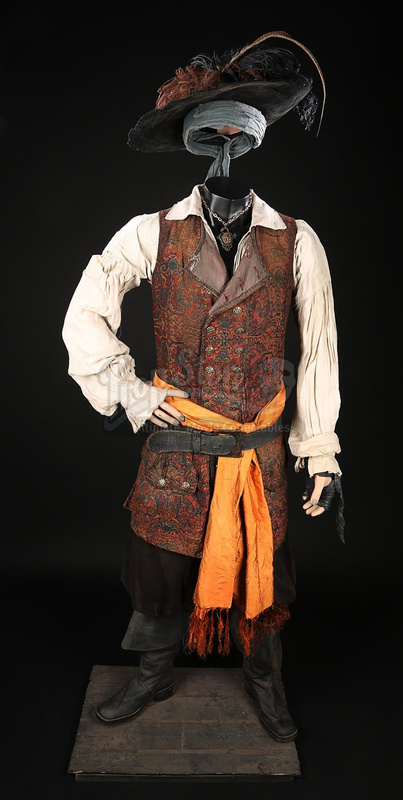 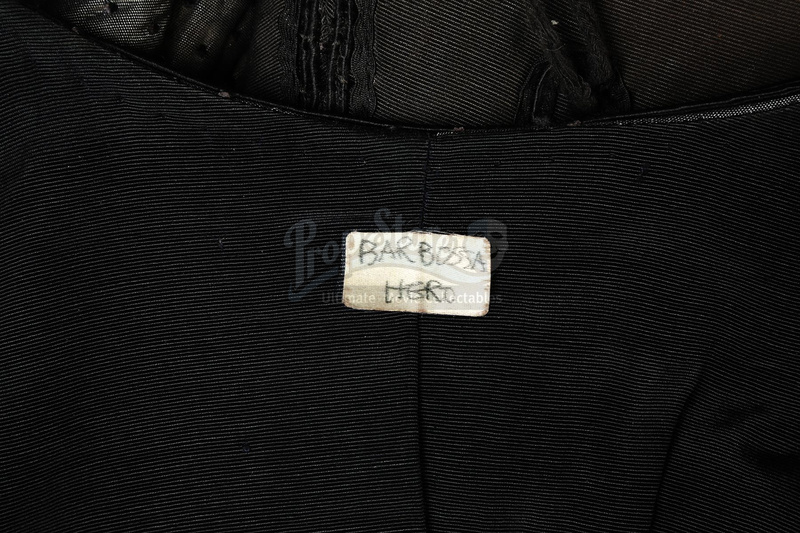 Barbossa wore his signature costume throughout the film as he sought to end the curse of Cortés' stolen Aztec gold. 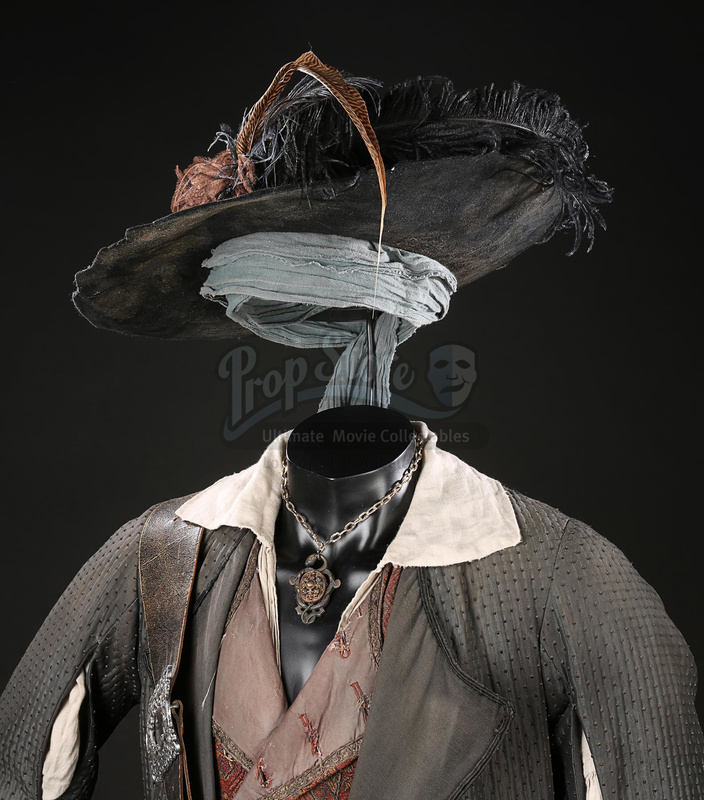 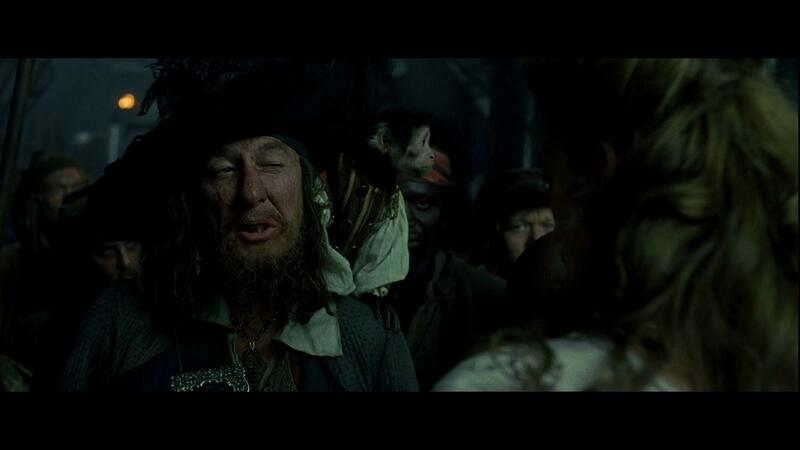 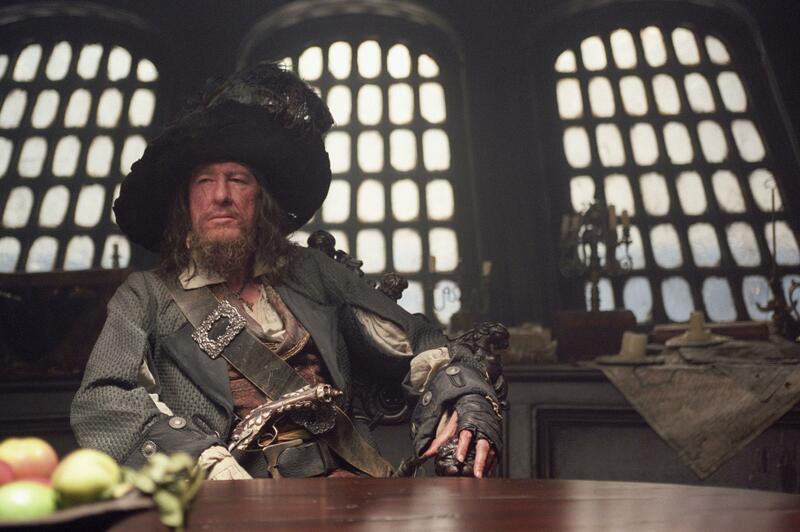 The costume is composed of a large felt hat accented with black and brown feathers (marked 'Geoffrey Rush'); a long nailhead-patterned grey coat (marked 'Barbossa hero'); an off-white linen shirt with pleated sleeves; an ornate, woven vest with metal buttons; a pair of pleated trousers (marked 'Mr. 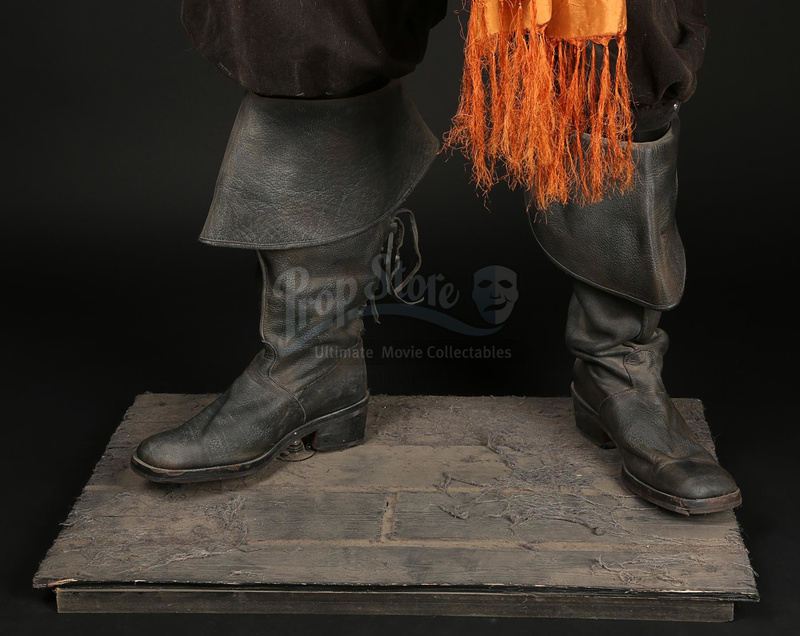 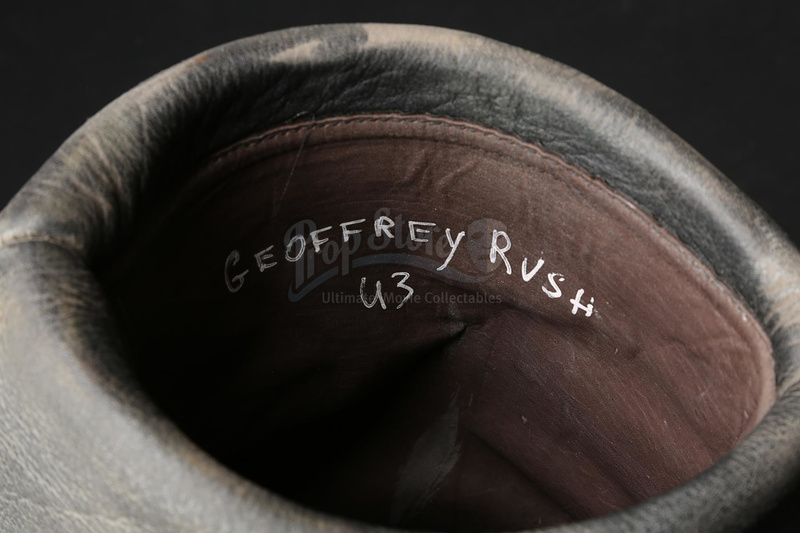 Geoffrey Rush') and a pair of black leather boots (marked 'Geoffrey Rush U3'). 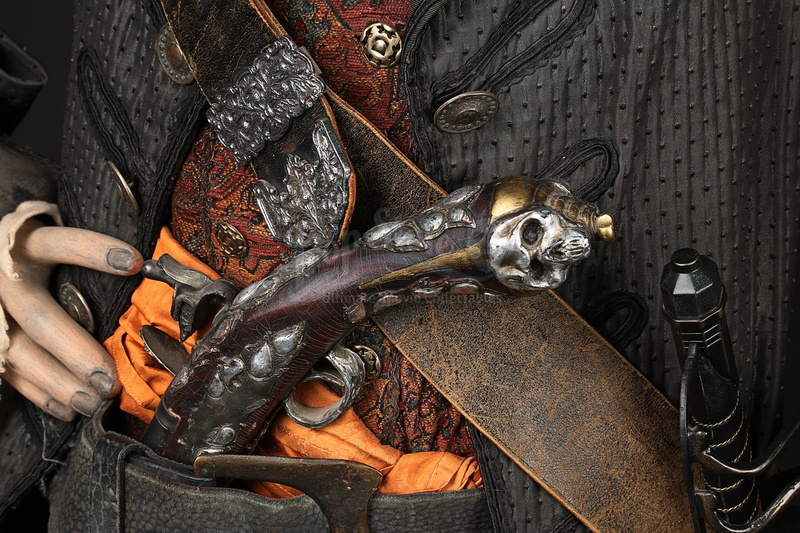 Accessories include a rubber stunt flintlock pistol; a leather baldric and sheath with faux-silver metal buckles; a metal pendant with ornate serpent designs on a metal chain; a leather fingerless glove; and a green bandana. 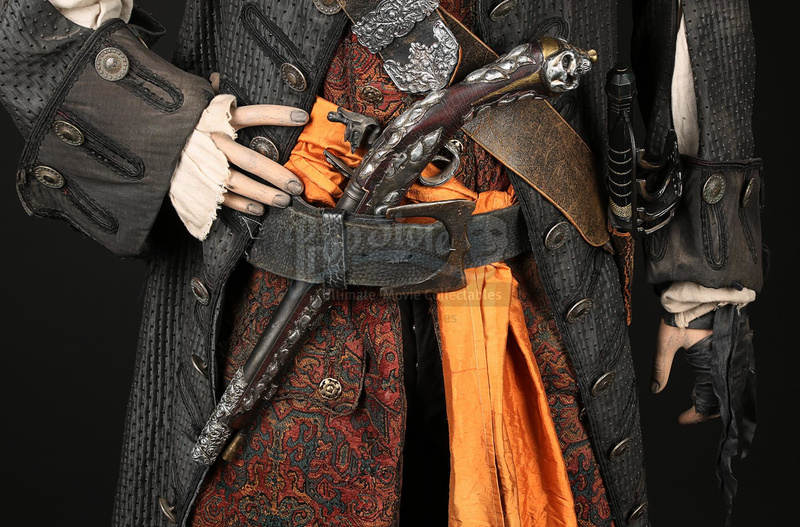 An orange fabric sash and a replica sword have been added to complete the look of the costume, which is also accompanied by several costumier tags and Walt Disney Company certificates of authenticity. 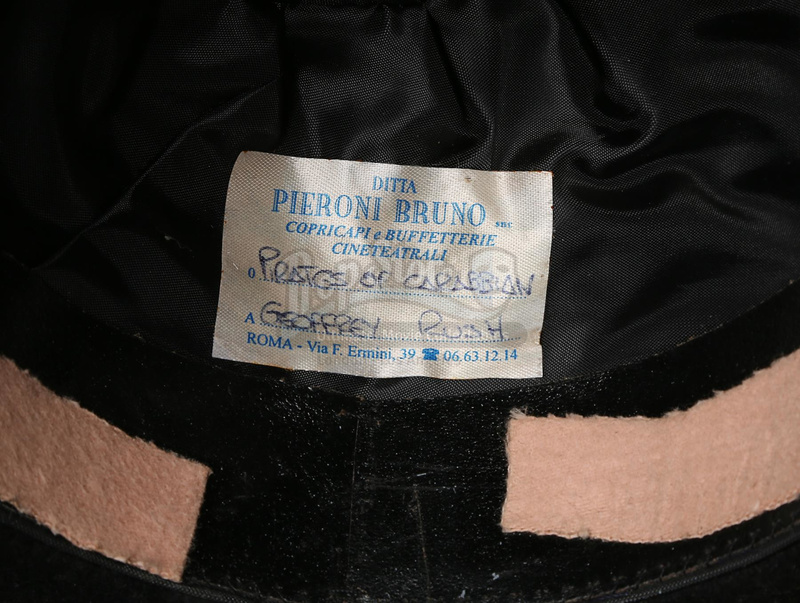 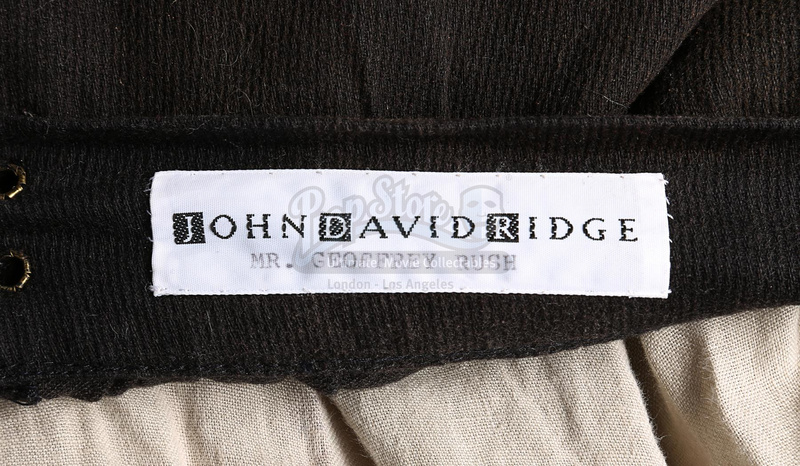 Disney certificates of authenticity are provided for the hat, coat, vest, shirt, trousers, boots, baldric, bandana and glove.